Every organization needs a strategic plan. Without one, achieving your mission is more difficult, and even more risky. A strategic plan can help to guide decision-making and action, give clear direction, and set forth indicators of success. 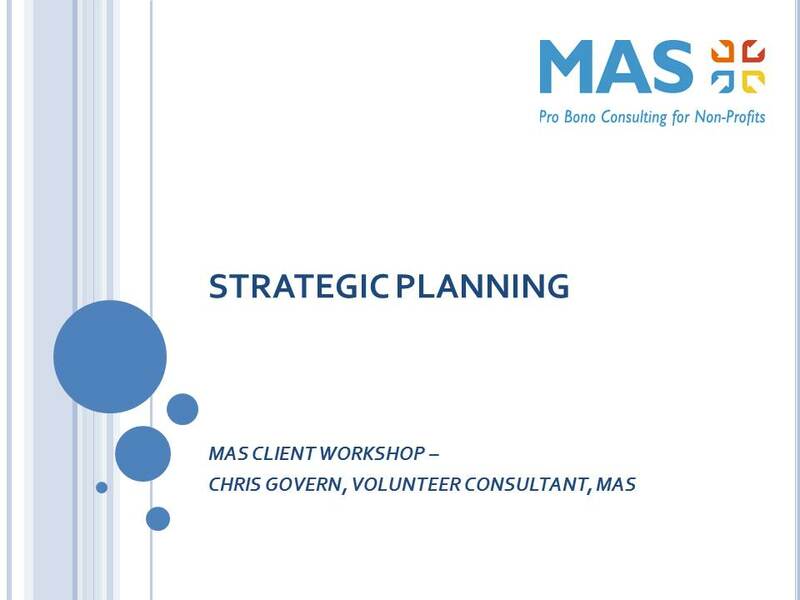 Contact us today and one of our MAS Volunteer Consultants will work with you to develop a clear, comprehensive and effective strategic plan, based on your organization’s goals and objectives.